Gingivitis is a form of gum disease and it is surprising the number of people who needlessly suffer with it. If you neglect your teeth and ignore gingivitis it can lead to tooth loss and other more serious health problems including heart diseases. Here is my story about how I learned to cure and prevent further Gingivitis with a simple pure natural gingivitis remedy. Gingivitis can be caused in a couple of ways but the most common is simple neglect. If you don't regularly brush and floss your teeth...twice a day at least...then plaque will build up around the gumline. 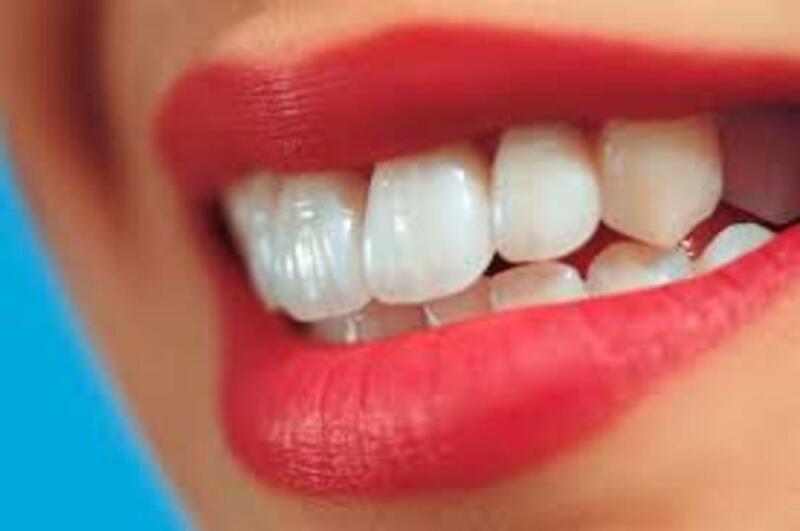 Plaque is a thin film of bacteria. And in just 72 hours that plaque turns into tartar...bacterial stone...so to speak. Once tartar develops it is much harder to get rid of without the help of a dentist. When left to build up around the gum-line tartar will irritate your gums. Eventually the gums will become red and inflamed. They'll turn soft and squishy. They may even begin to bleed. Recurring or neglected bouts of Gingivitis put you on the road to Periodontitis. This is a more serious gum disease that results in deep pockets below the gum-line and between the gum, teeth and the supporting bone. Now if you have Periodontitis you will definitely need to see a dentist because you cannot possibly get to the plaque and tartar that is now developing below the gum line. Ignore this condition and it will result in lots of pain and ultimately tooth loss. 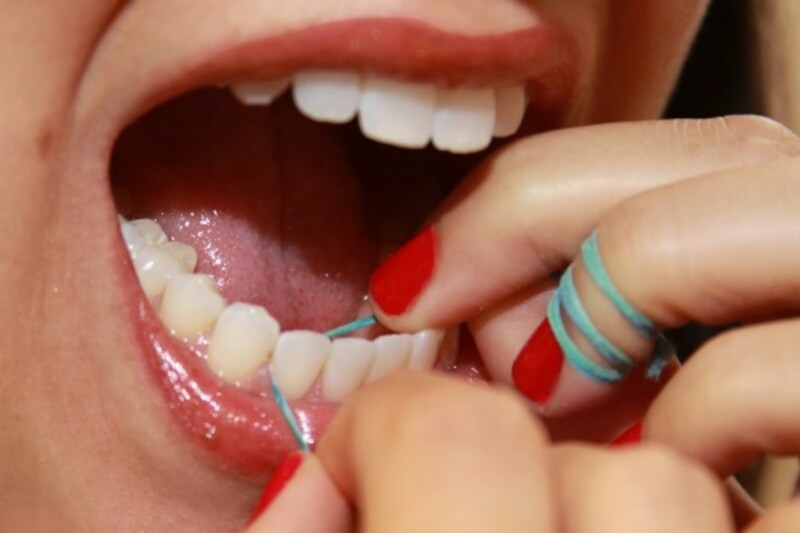 You can get more detail about gum disease at the following link. Learn about the other causes of gum disease and how Gingivitis can cause a heart attack. But let me cut to the chase here. I had Gingivitis and now I have Periodontitis. It is the result of a long history of chronic anaemia. And until recently the Periodontitis had me in and out of the dentist's office every three months for deep beneath-the-gum-line descaling. Without these regular visits, I experienced terrible gum inflammation and painful infections. Even with regular dental visits I still had painful infections because it is very hard to get rid of the bacteria that forms in the deep pockets around affected teeth. Cure Gingivitis and Stop Periodontitis Infections! Why Does This Pure Natural Remedy Work? The reason I tried this pure natural remedy for gum disease is that it had a 100% money back guarantee and I was desperate to find a way to keep my teeth. So far I've lost just one tooth but I knew if I didn't stem the tide of constant infections, I would lose more teeth. In fact, the deep pockets around another tooth were driving me nuts with constant pain and infections. The dentist and I discussed replacing it with a bridge. But now this is not necessary! The reason this natural gingivitis remedy works so well is that it is oil based. 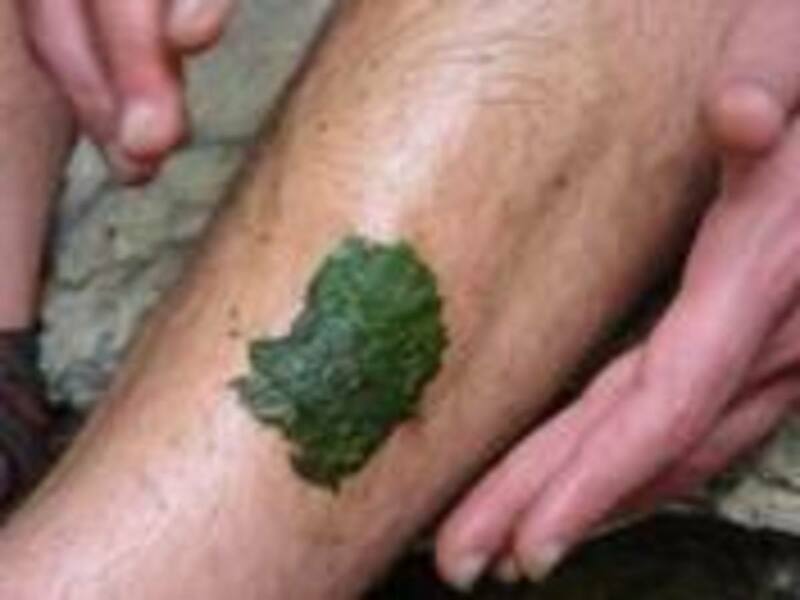 The oil seeps around and below the gums, into troublesome pockets and it doesn't wash away. The oil hangs around and prevents the bacterial plaque from reforming. I've been using a natural remedy for over two years now. I haven't had one infection or mouth ulcer and I haven't had to rush to the dentist to get a deep descaling or antibiotics. I saw my dentist 6 months after I started using this product. He said my gums were pink and healthy and he called other dentists in the practice to look at my gums. He wanted to know more about this remarkable gingivitis treatment. I am ecstatic with the results. Up until now, I have not been able to go more than 3 months before my gums are inflamed and a deep descaling is required. It has been 9 months since my last cleaning. And just one month before I started using this gingivitis remedy I had to take antibiotics to get rid of a persistent infection around this one tooth. Taking antibiotics has been a regular necessity for me for the last 5 years. But no more! I no longer use any form of toothpaste or mouthwash. I use just pure natural essential oils to brush my teeth. It keeps my breath fresh and prevents plaque and tartar build up. If you have a problem with Gingivitis or worse...with Periodontitis...or better yet...if you want to avoid these conditions entirely, you should learn more about the natural gingivitis remedies available today. Read about a simple homemade mouthwash for treating gum disease. Read more about how anemia causes gingivitis. Read this government report about the toxicity of toothpaste. Consider dietary changes. Eating Raw food especially the chewing raw greens is good for the gums. I have to say this or big brother might get me. The statements contained on this lense have not been reviewed or approved by the Food and Drug Administration for their validity. The information is not intended to replace the advice of a health practitioner and I disclaim any liability for the decisions you make based on this information. I am simply telling you about my personal experience with gingivitis and periodontitis and how I over came constant pain and infections using pure non-toxic and natural gingivitis remedies. Great lens! Most people don't think of the natural remedies. i love this coz i have this serious problem, any more cured for thias? Great chosen topic for good education. Terrific lens that will benefit myself and my immediate family. Great lens! My mother struggles gingivitis for years, same as you. And I've been aware for long time that toothpaste isn't doing me any good. Every time I washed my teeth with regular toothpaste, all my teeth were sensitive for days. Now I use homemade toothpaste and I don't have any problems. this is a great lens. a great solution to a common problem. way to go! Awesome lens. Great useful information for people to learn. I have bookmarked your lens.Keep up the good work. Yay for you for spotlighting this! Thanks for the ads... Anyway, your lens is very informative in some way! Usually, if we brush too hard, our gums get irritated. This will cause bleeding of gums. For me, choosing a soft-bristled toothbrush is important because it is more effective in cleaning and it won't irritate your gums. When I noticed such symptoms of gum problems, I went to Chattanooga. Periodontist referred by my friend is truly professional and friendly. He is also known for good dental service in dental implants (Chattanooga). This is a great remedy for gingivitis and can help prevent the need for emergency dental treatment. @anonymous: If you don't take care of it, it will cost you far more in the long term. The remedy that I've written about here is not very expensive and one bottle will last you three months. In my experience it is very effective. But of course you should see a dentist if at all possible. There is another simple remedy involving salt, baking soda and hydrogen peroxide. You can read about it on this page http://bit.ly/gingremedy. I have gingivitis, and I can't really pay for much. Is there any other way to get rid of it really fast? I have gingivitis, i just hope it hasn't gone to periodontitis because while talking to people sometimes i sense they are quite uncomfortable. Its really bad. I tried all kinds of mouth wash and figured it some how makes the bad breath more pronounced as peoples reaction when i talk to them get even worse. Now what do i do. i have gingivities in my gums .do gingivities form or increase by kissing. how i will i save and protect my teeth from gingivities.